As lifestyles become more high tech and mechanized, basic life skills earlier generations took for granted may be marginalized or forgotten. The most basic of skills is learning to write. This series of paintings takes the written name, often the first words a person learns to write, and uses it as the base for creating a collection of paintings of various aethetics and scales. Some signature canvases are orderly, almost mechanical, as in a handwriting exercise, others are overlapping, repeated and layered. The irony of these works is that the signature is the artwork. 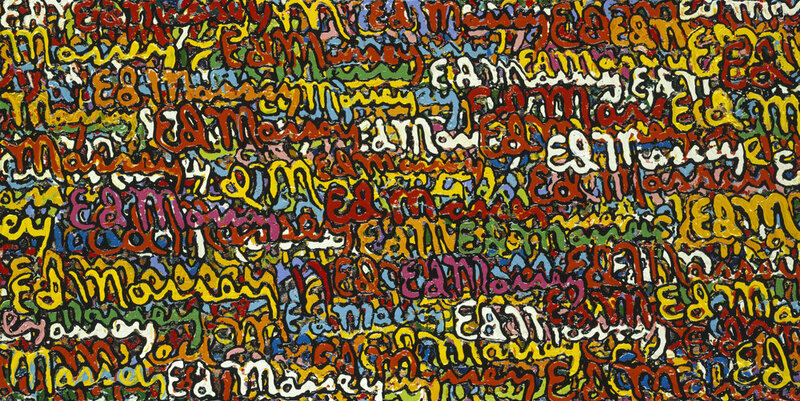 The signatures, in center stage, are in contrast to all Massey’s other paintings and sculptures in which his signature is often out of view, placed on the back or bottoms of the works. 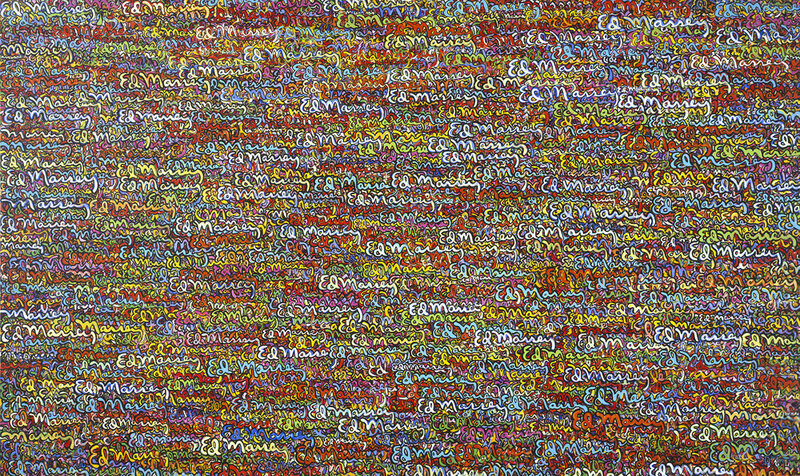 The smallest canvas in the series is 12” x 12” and the largest is comprised of more than 2,000 repeating and painted signatures on a 72” x 120” canvas.